This helps you start building up your profile's authority on Pinterest. Before I signed up for Tailwind, I was averaging 1K impressions per month on Pinterest. Within three months that shot up to over 200K and continues to climb! Pinterest is putting my content in front of people, and I know that's because of my pinning strategy with Tailwind. You can learn more about the Tailwind Scheduler here. They're setup to give Tailwind users a steady stream of content to add to their Schedulers. You don't actually need to have a paid Tailwind account to use them though - Tailwind Tribes are free to join and offer optional power ups for power users. You can learn more about my experience using Power Ups here. 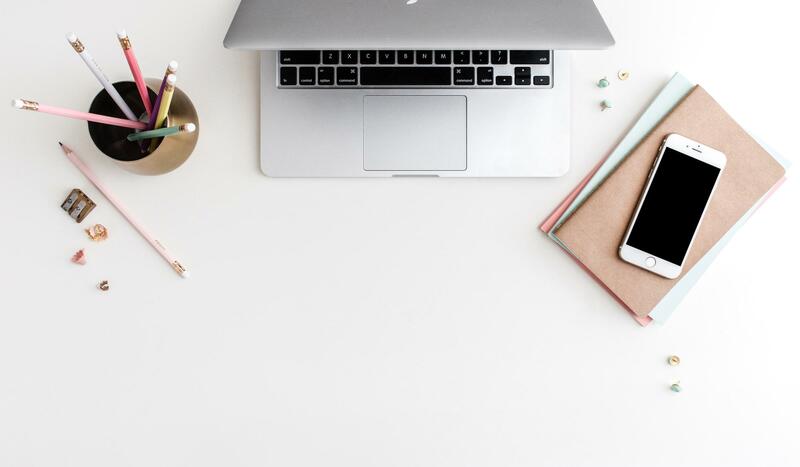 Drive traffic to your blog: You get to share and shamelessly promote your blog content to people who are actively looking for quality content to pin on Pinterest. More people pinning your content = Winning strategy for growing blog traffic! Discover content to Pin on Pinterest: One of the keys to being successful on Pinterest is consistently pinning quality content -- and not just your own blog posts. Tribes give you a steady stream to pin. Plus if you are using the Tailwind Scheduler, they're a great place to go to fill up your queue. Tribes just launched the new "Find a Tribe" feature which will let you search for Tribes to join by keyword, tag, or category. Just login to Tailwind Tribesand click "Find a Tribe" to start searching. 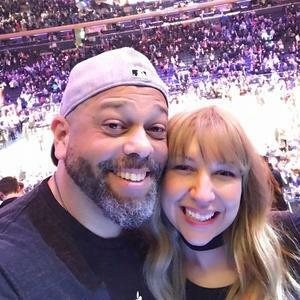 If you pin Tips, Ideas, and Resources for Bloggers, Infopreneurs, & Creative Online Business Owners - feel free to join the 400+ members of my Tribe via this Invite Link. You can also try reaching out in your online communities to see if anyone in your niche has started a Tribe. If you've found a gap and want to start your own Tribe, you can do that once you've signed up for Tribes. Checkout this list of Tailwind Tribes for Creative Bloggers, put together by Lindsey of HazelHaven. Tribe owners are able to set rules for their Tribe. You'll find them on the left-hand side of the Tribes window. Typically the rules will say things like: Pin quality vertical images, include descriptions, only post on-topic content, for each post you contribute - pin another post from the Tribe, etc. 💡PRO TIP: Try to keep a 1:1 ratio in your Tribes. Meaning, for every one of your blog posts that you contribute, try to share at least one post from the Tribe to your Pinterest Boards. This contributes to the overall success of the Tribe! You can see your ratio next to your name in the Tribe Members list. Install the free Tailwind browser extension. It makes sharing blog posts to your Tribe, and scheduling pins to your queue, super easy. There's a browser extension for Chrome, Safari, and Firefox. It will show up as the Tailwind icon when it's installed. The little red caution triangle will appear if you've already shared this content to any of your Tribes. This is helpful so you're not frequently posting duplicate content to the Tribes. Tribes are collaborative communities. In order for them to thrive you want to share content from the tribe as much as you add content to the tribe. When you go to any of your Tailwind Tribes you can see New content and All content. My current process is to go to each of my Tribes and click on New content. Then I schedule pins to my Tailwind Pinterest Scheduler right from the Tribe. Content I schedule will be moved to the Shared category. I choose the posts I want to add to my queue and click the green Add to Queue button. Now they'll go to the next available slot in my scheduler. Any content I don't want to share, I hover over and click Skip. This moves the post to my Skipped category. I do this to remove it from my content stream so I'm always able to see fresh content. Tailwind allows you to schedule content from Tribes right to your queue. If you are not signed up for the Tailwind Pinterest Scheduler and are pinning manually, you'll need to click on the Source URL at the bottom of the post. Then you can pin the content directly from the source. Once you've shared your posts with the Tribe you can view them and their activity on the Tailwind site under Tribes. There's a bar across each Tribe that shows your posts. When you click on your tab, you'll be able to see all of the posts you've shared. You can also see if anyone from the Tribe has pinned your posts to their Pinterest Boards. In this example you can see one of my blog posts has been pinned by 10 members of this Tribe. The results will be different for each Tribe you're a part of. You can also see reporting in each Tribe above the members list. This reporting is specific to your content on the Tribe you're viewing. Metrics will be different on each Tribe you're a part of. The reporting shows re-shares, re-pins, and reach. Re-Shares: The number of times your Tribe mates have shared your content. Re-Pins: The number of re-pins generated from all re-shares of your content. Reach: The potential impressions on Pinterest from all re-shares of your content. These are just the results from one Tribe where I've posted 6 pins. Overall Tailwind Tribes have helped me grow my blog by increasing my re-pins and traffic to my site from Pinterest. 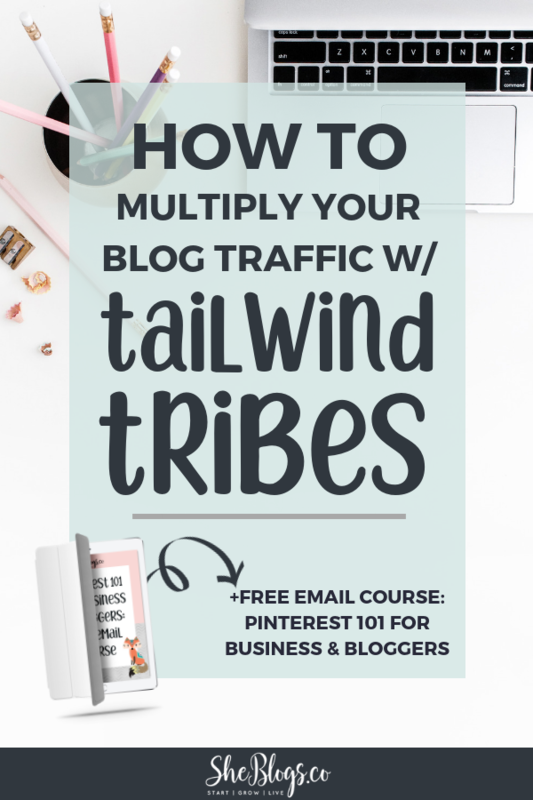 Tailwind Tribes are a big win for growing your blog traffic through Pinterest and discovering fresh quality content to share on your Pinterest Boards!